The vegan food revolution has entered the wine sector. Winemakers across the world have begun to develop a wider range of vegan-friendly “fining” agents used to filter wines. The agents are used at the end of the wine-making process to remove yeast traces and bacteria and improve clarity and flavor in the final product. Traditionally, this has been accomplished by using animal products such as egg whites, casein (found in cows’ milk), gelatin or isinglass, extracted from the swim bladders of fish – none of which are approved by the vegan diet. Now a new generation of animal-free agents made from peas and potatoes are being incorporated, along with other vegan-friendly options including carbon and clay-based agents. According to the Vegan Society, the number of vegans has nearly tripled in the last decade. 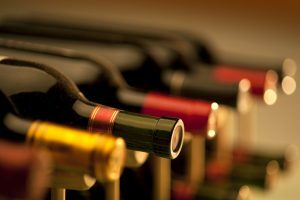 They hope that the number of wine companies adopting the practice continues to grow in response to the trend.